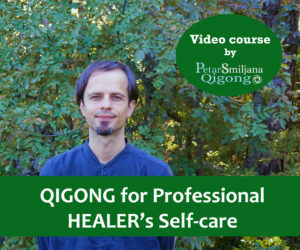 If you are new to Qigong you will find in this text the basic information about what is Qigong, and why would someone like to dedicate his time to Qigong. The term Qigong is composed from two words. Qi in Chinese means universal energy which permeates all the universe and also human beings. The term Gong is an abbreviation for Gong Fu or Kung Fu, and means focused and persistent work, skill or achievement. So, Qigong is any practice which works with energy and develops the skill connected with this energy. What exactly is Qi? Qi is electricity, heat, magnetism, vibration, motivity, bioelectricity – all these and more. Qi in wider sense is anything that shows potency and power. In connection with a man, qi has a special meaning. 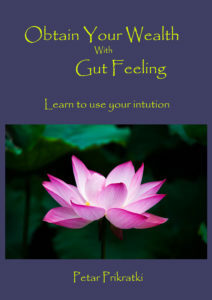 Qi is a bridge between our consciousness and body. When consciousness and body are connected, there is energy and life. Qigong works with Qi, vital energy, through the practice of meditation and special exercises. This ancient Chinese discipline which could be defined as art, science and philosophy, was secret for thousands of years and was preserved as esoteric practice mostly inside Taoist and Buddhist monasteries. Almost through all the history Qigong was unknown to the Western world and also to the greater part of Chinese people. Qigong is the foundation of Chinese martial arts, traditional Chinese medicine and stays also in the center of the Chinese philosophy and religion. We can use Qigong in every sphere of life, but according to his use in the past, there are four main areas in which it has been developed and used in China. Therefore we distinguish medical Qigong, scholar Qigong, martial art Qigong and religious Qigong. Today we know many different Qigong practices but all of them have the same foundations, which are the theory of yin and yang, the theory of five elements, the theory of energy channels etc. Qigong has come in the West approximately forty years ago and from that time the interest for it is slowly but constantly growing. Nowadays the greater part of the people is interested in Qigong because of its great benefits on health and vitality. Smaller group dedicated to Qigong practice are the practitioners of martial arts. For the study of practices which have foundation in religious Qigong today there is a little interest. Probably the reason is that this area is one of the most demanding and you need a lot of time, as its final goal was to achieve enlightenment. Nowadays, Qigong which is practiced for general well-being unites movement, breathing and meditation, emphasizes natural posture and relaxation. Through the practice we gradually strengthen our physical body and mental focus. With a help of the conscious breathing we establish strong connection between mind and body. In time we develop sensibility for the energy of our body and we learn how to regulate and manipulate it. In short, practicing Qigong we cultivate our body, breathing, energy, mind and spirit and we can achieve a high level of health and well-being. There are numerous reasons for doing Qigong. Qigong can be practiced with the purpose to maintain and improve health. We can practice Qigong because we enjoy in harmonious movement, because we would like to improve our strength, flexibility, speed, be in optimal form, full of vitality and energy. We also practice Qigong because we would like to reduce stress, enjoy more in everyday things, focus better on the things that are really important to us, being more aware of ourselves and of our surrounding. And we practice Qigong because we would like to feel inner peace or expand our consciousness and more and more. If we do Qigong regularly and persistently, slowly the everyday practice of Qigong become for us something natural and indispensable. Pure pleasure for our body, mind and spirit. Previous Post:How and for who this blog has been created? Next Post:Why start doing Qigong?